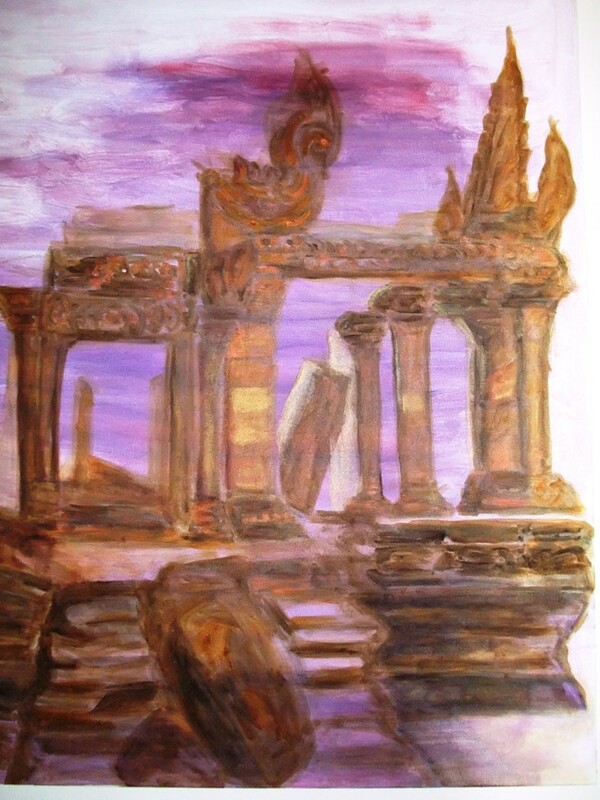 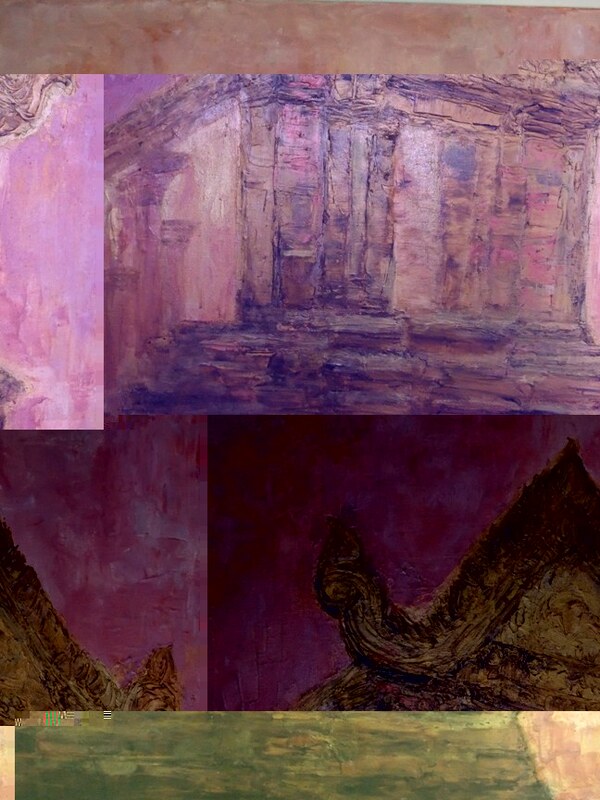 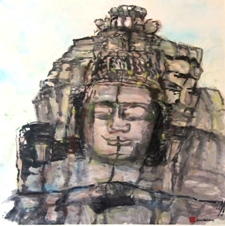 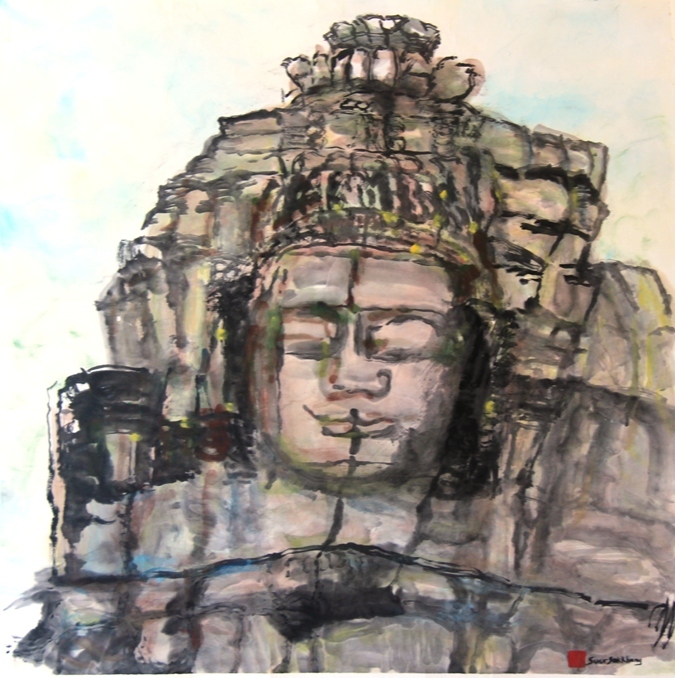 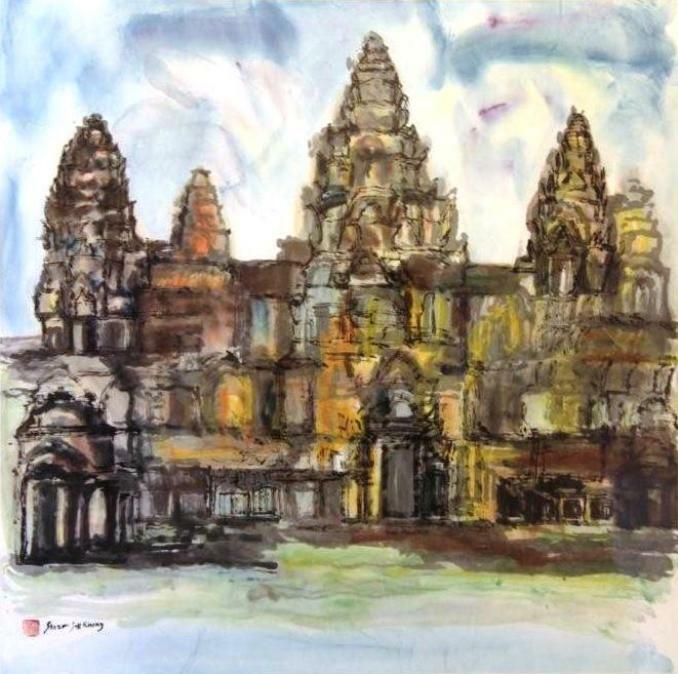 Patricia Suor’s passion for her Cambodian heritage and culture shines through her paintings of historical landmarks of her country. 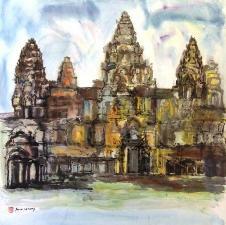 Angkor Wat’s monumental architecture and its majestic facades are a constant source of inspiration to her. 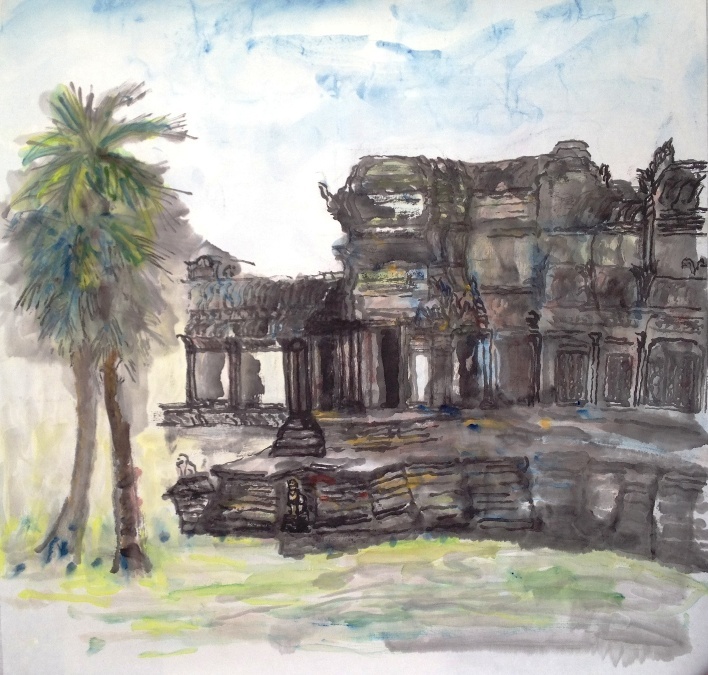 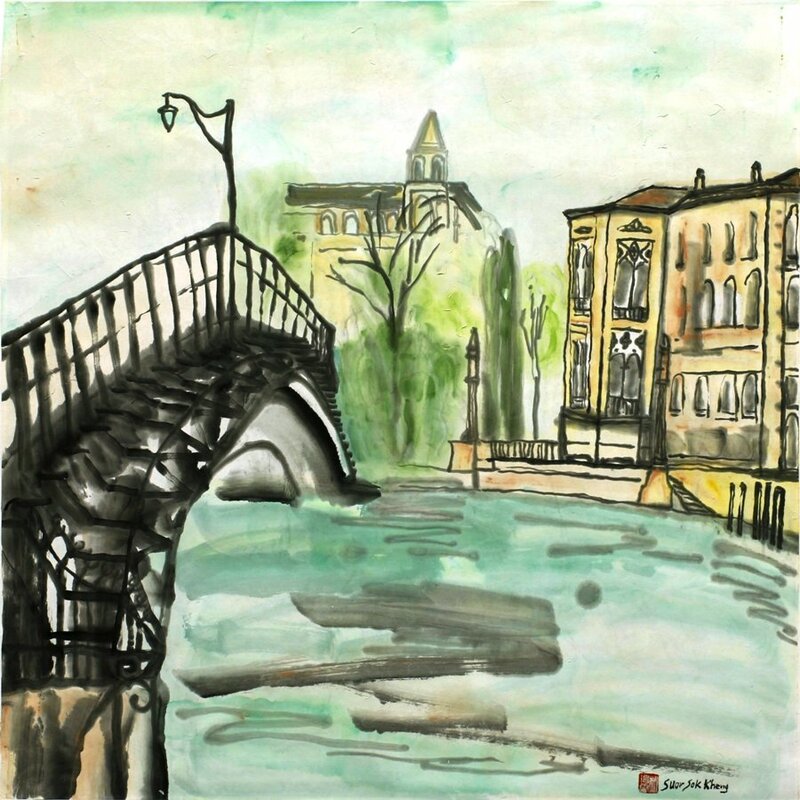 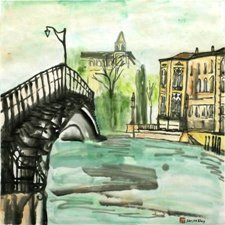 She also draws ideas from her experiences and travels during her childhood and young adulthood. 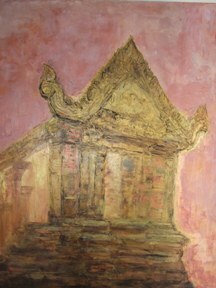 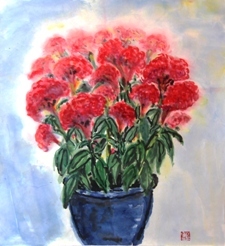 Patricia was born in 1961 in Phnom Penh, Cambodia. 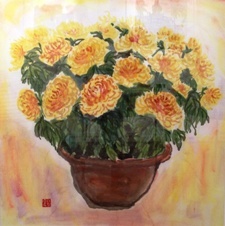 She received her education at the Overseas Chinese Experimental High School in Taipei, Taiwan and subsequently read European Art History, Modern Thinking and Philosophy at Sorbonne University in Paris, France. 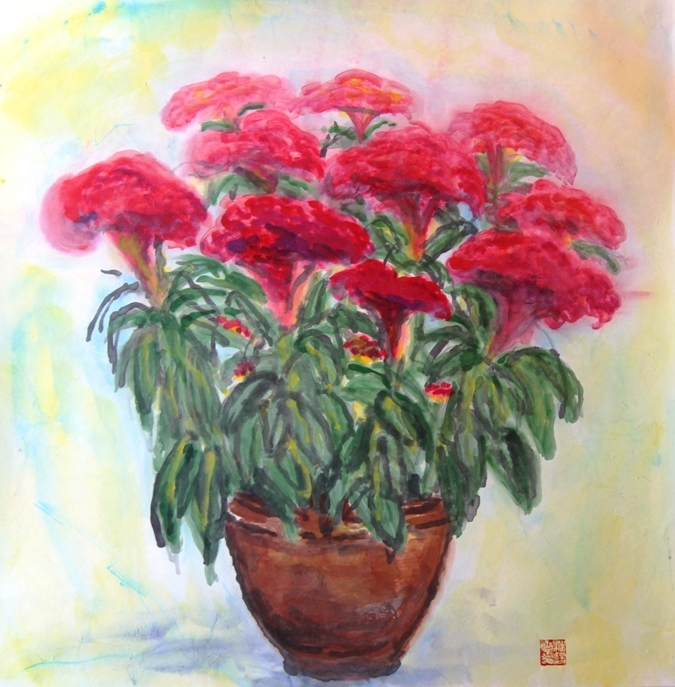 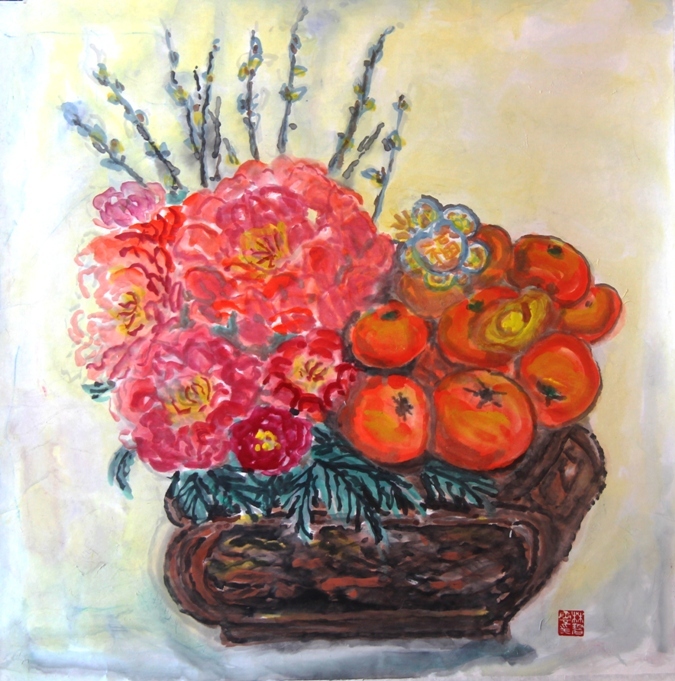 Over the past 12 years Patricia has devoted her energies to art. 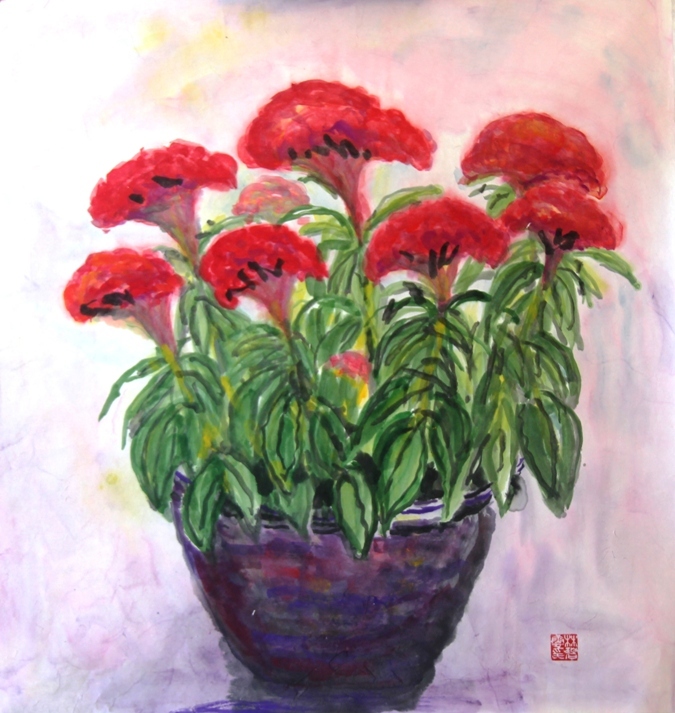 Through the mentorship of experienced teachers of fine art, including one of Singapore’s foremost Chinese ink artists, Mr Lim Tze Peng. Through the medium of Chinese ink and colour on rice paper, she has imparted her own artistic style, her sense of nostalgia and ancestry, and an intensely personal interpretation of the awesome ruins that echo a glorious but long-past regime.